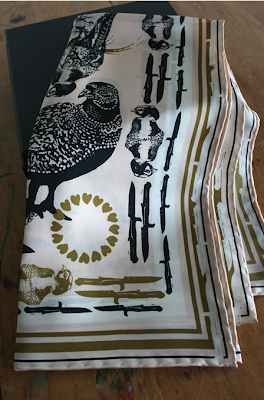 i love this scarf by the finnish company ivana helsinki. available at belkina. and the rest of their clothing, well i love it too, but it is a bit harder to find. Love scarves! I'm trying to start wearing them more day to day. I saw a great way to store them in Real Simple, by rolling them on old paper towel rolls and securing them with rubber bands. No more wrinkles! Yay! whoa kate, that is intense. in celebration of columbus day! if you haven't seen this watch it.